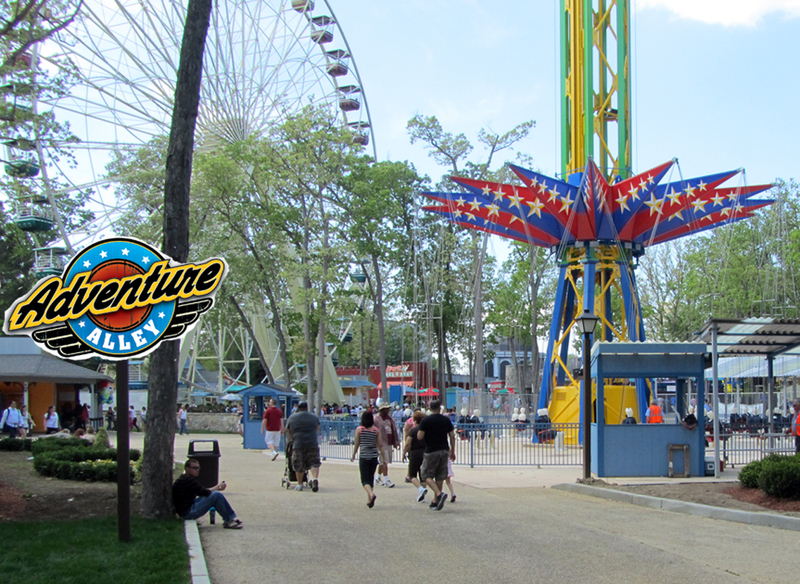 Add an Adventure Alley area sign as well as signs for the section's rides (SkyScreamer, Air Jumbo, Fender Bender, Big Wheel, DejaVu) as well as ride signs in the Safari Kids area. This is definitely needed. Also add Swashbuckler to the list- that one annoys me the most since the blank space where the old sign was is still there.